Home: What's Facebook's Android Strategy? 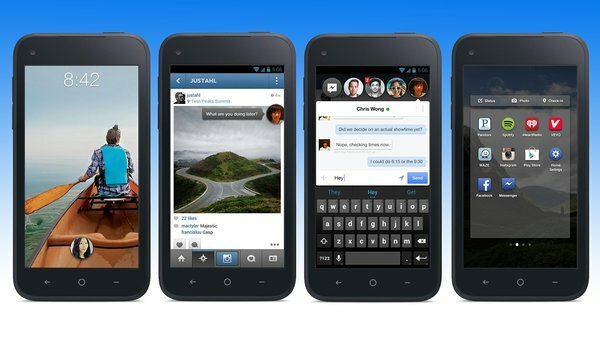 Facebook just introduced Home, a homescreen replacement for Android smartphones, which will be pre-loaded on the HTC First. The suite of apps will be exclusive to the Android platform, as other platforms don't allow the level of customization required for Facebook Home. Let's take a look at the potential of this strategy. Objective: Facebook was concerned with the prospect of being relegated to one among many apps on a user's homescreen. Facebook's objective was to become one of the core drivers of the smartphone experience. Option 1: Facebook could launch a phone using a proprietary OS or forked version of the Android operating system. Option 2: Facebook could develop a proprietary OS or create a forked Android, and make the OS available to OEMs. Option 3: Facebook could co-opt Android by launching a homescreen replacement that would put Facebook front and center on a user's device. In both option 1 & 2 above, Facebook-driven smartphones would be at an inherent disadvantage since they had no access to a viable application ecosystem. In addition to this, Google would prevent any existing OHA (Open Handset Alliance) member from launching any device with a forked Android OS (see: Acer and Aliyun). The Kindle Fire was an exception because of the circumstances in the tablet market and because Amazon was not an OHA member. Therefore, it obvious that forking Android is not likely to be a winning strategy. Strangely, despite all the evidence against forking, some analysts continue to harp on the idea. Based on the points above, it is clear that Facebook made the right decision. Using Option 3 would help Facebook reach the widest number of Facebook users. Facebook is no longer dependent on device sales to generate a user engagement. The HTC First is merely a marketing vehicle for Facebook Home, and is unlikely to be critical to its success. While the Facebook homescreen may not appeal to enthusiasts and early adopters, it could find an audience among heavy Facebook users. While the user base may not be large compared to the total Android user base, it is likely to be much larger than any alternative strategy. Also, access to a user's homescreen would give Facebook an additional avenue to grow mobile advertising revenues (of course, Facebook could lose a few users in the process). My guess is that Facebook will also use Home to push Graph Search onto smartphone users. This may not have a short-term impact on Google, but it constitutes the only real long-term threat to Google's mobile search advertising strategy.